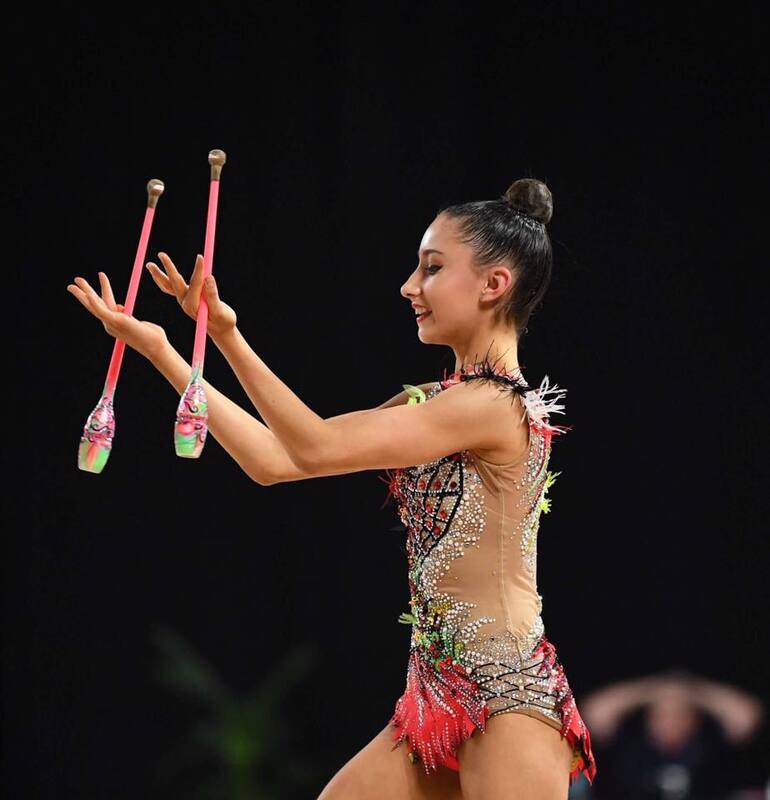 Rhythmic gymnastics in the form that we know it today, began as a means of movement as well as expression at the end of the 19th and the early part of the 20th century. As a sport, Rhythmic Gymnastics started in the former Soviet Union during the 1940's. It was recognized by the International Gymnastics Federation in 1961. World Championships have been conducted since 1963, the first in that year in Budapest, Hungary. The first Olympic Games to feature rhythmic gymnastics was in 1984 in Los Angeles, USA, where Canadian Lori Fung was the first gymnast in the history of the sport to take an Olympic title (Los Angeles). 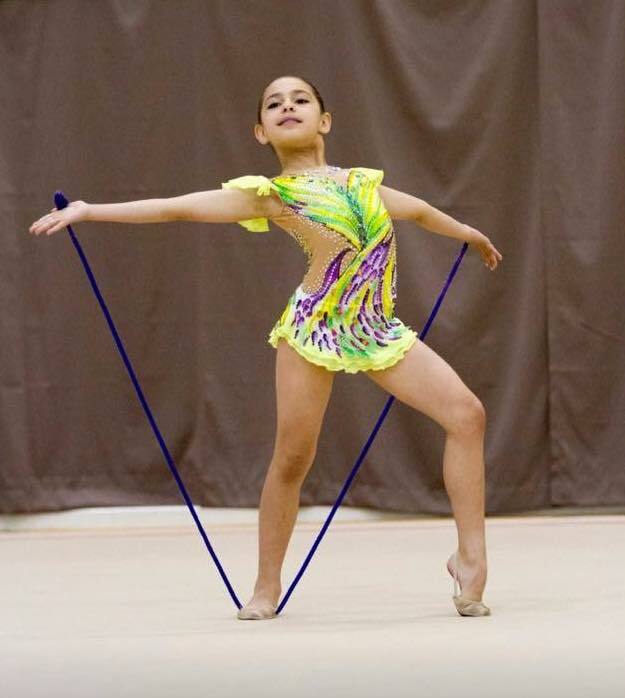 Rhythmic Gymnastics is the perfect sport to build body awareness and co-ordination skills that will assist in the development of athletic potential for any sport. Rhythmic Gymnasts compete on a floor area of 13 square metres to musical accompaniment. Harmony between the gymnast, the apparatus and the music with required difficulties, mastery and dance components are necessary to achieve a balanced composition. The apparatus must be used in both hands, thrown into the air and be kept in constant motion. Rope is made of a synthetic material, which retains the qualities of lightness and suppleness. The length of the rope is depending on the height of the gymnast. Fundamental requirements include leaps over the rope and skipping. Other elements include swings, throws, circles, rotations and figures of eight. Ball is made of rubber or synthetic material and is 18 - 20cm in diameter. Junior balls are available for the younger gymnasts. It should rest in the gymnast's hand and not rest against the wrist or be able to be grasped. Fundamental elements include throwing, bouncing or rolling. The gymnast must use both hands and work on the whole floor area whilst showing continuous flowing movement. The hoop may be of a natural colour or be partially of fully covered by one or several colours, and it may be covered with adhesive tape (not fluorescent) either of the same or different colour as the hoop. Ribbon is stitched down both sides. At the top, a very thin reinforcement or rows of machine stitching for a maximum length of 5cm is authorised. This extremity may end in a strap, or have an eyelet (a small hole, edged with buttonhole stitch or a metal circle), to permit attaching the ribbon. Clubs are made of rubber or plastic. 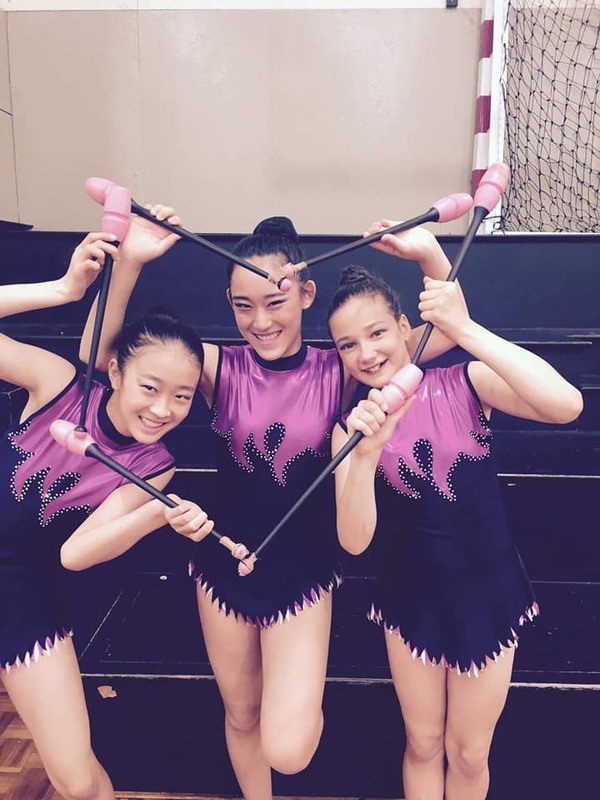 Different length clubs are available depending on the size of the gymnast. Fundamental elements include mills and small circles, asymmetric movements, throwing and catching. The Clubs must be used in both hands and in one hand. It is one of the more difficult pieces of apparatus to use. ﻿Freehand is performances without apparatus where the emphasis is on style, technique and execution of dance skills. Freehand is most often seen in lower levels. AGG (Artistic Group Gymnastics), Groups, Trios and Duos. Gymnasts can also compete and perform in group routines with or without apparatus, trios and duos. 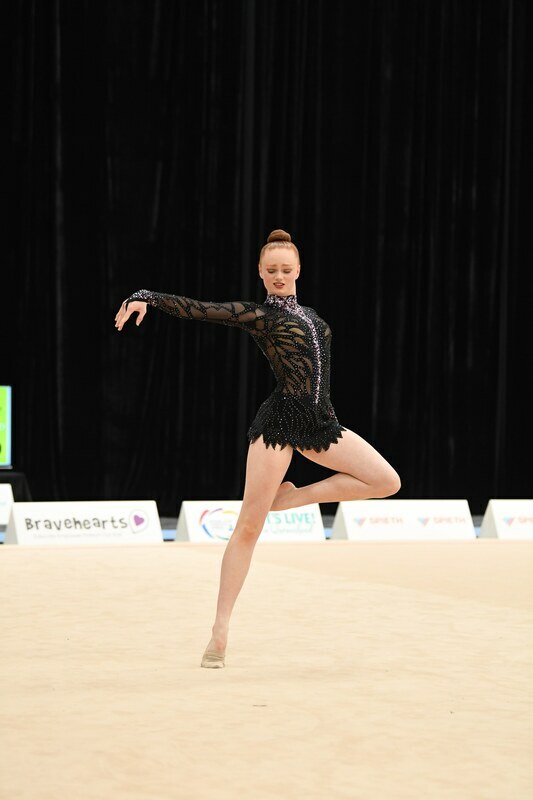 In Australia, there are two different streams for Rhythmic Gymnastics: national and international. ​Follow us for the latest updates.